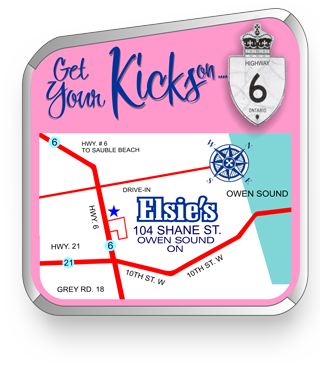 Elsie's Diner | a Taste of the 50's! At Elsie’s, we believe in serving delicious home style food, made fresh daily in our kitchen from local suppliers… just like they did in the 50’s. 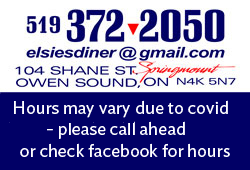 We use only fresh Grey-Bruce Beef to make our famous burgers and our roast beef dinners. We serve fresh sliced deli sandwiches with homemade soup. Old fashioned tummy filling favorites like meatloaf and macaroni & cheese will remind you of the good old days! Ever had a malt shake? How long has it been since you had a Root Beer Float? Why not try our delicious Brownie Sundae? We serve up “All-Day-Breakfast” with favorites like our Big Bopper Breakfast which includes bacon, sausage and our own slow cooked ham with triple eggs, triple toast and our delicious home made fried potatoes with sautéed onions. Or try our Tutti Frutti Waffle loaded with fresh fruit and real whipped cream. We are a family friendly restaurant and have a wonderful Little Darlin’s Menu which has many options for your kids to choose from. Little Darlin’ meals include their drink and ice cream sundae too! 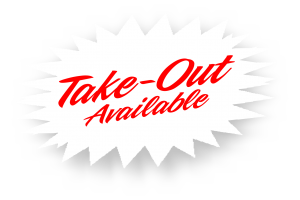 We believe in providing a great meal at a reasonable price so that Mom and Dad can afford to bring their family out for dinner again and again! We also have a great Seniors Menu and have many gluten free options. So come on out to Elsie’s diner today and enjoy a Taste of the 50’s.